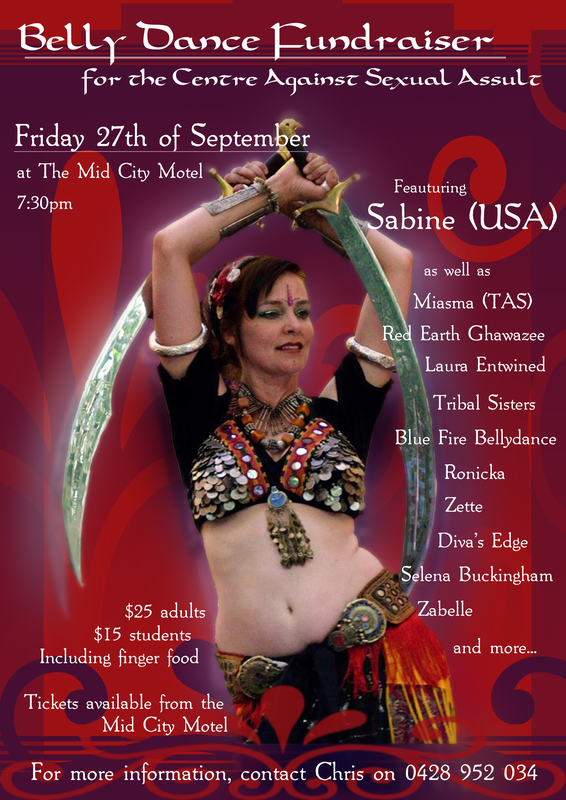 Tribal Sisters (Ballarat) present special guest Sabine (Tribalation, USA) Friday 27 September at Mid City Motel, Ballarat. Funds raised will be donated to CASA – the Centre Against Sexual Assault. Show features numerous special guest dancers and troupes from around Australia. Posted in Uncategorized on August 28, 2013 by entwinedbellydance.